This started a whole meme of pics starring the squirrel as seen at buzzfeed. Well, here's our version! 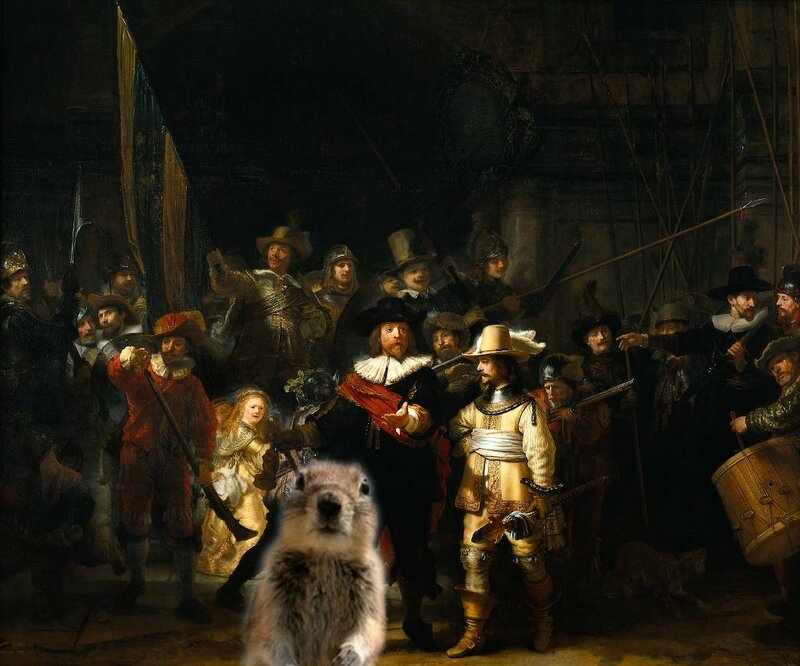 It's the Crasher Squirrel crashing the Nightwatch, a famous painting by Rembrandt. Thanks to Wikipedia for the picture, and to the squirrel for being in the right place at the right time! 'What's that mean?' asked the child. If you ain't laffin'... You ain't livin'.